Yesterday, Apple announced a minor refresh for its 13-inch and 15-inch MacBook Pro models, adding True Tone display technology, previously limited to iPhone X and iPad Pro. How to toggle on or off True Tone on your MacBook Pro? Go to the Apple menu on your Mac, then select System Preferences and click Displays. From here, you can tick or untick the box beside True Tone. 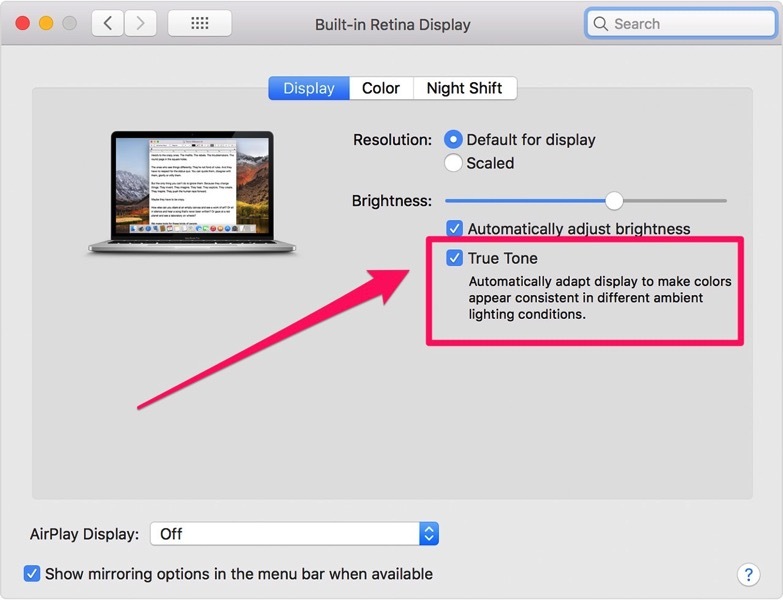 For now, the three displays mentioned above are the only ones to support True Tone when a MacBook Pro connects to it, and there’s no word when other third-party displays will get support as well.